If you’ve ever found yourself scrambling to find the appropriate adapter or cable five minutes before your presentation, then you understand the stress and frustration it can cause. 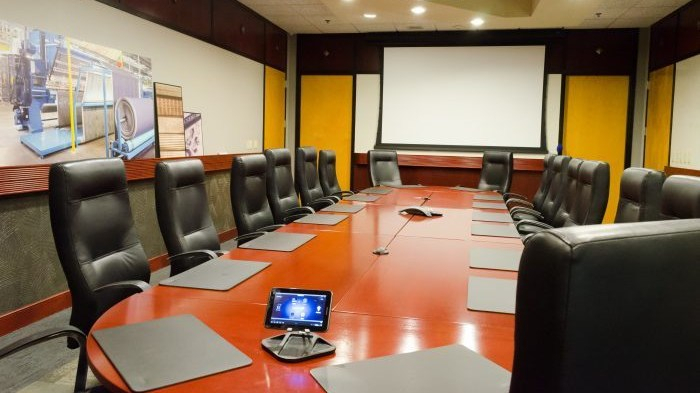 For this reason, along with many others, wireless presentation systems are becoming more and more popular. But which one is right for you? Today I am going to review Crestron’s AirMedia AM-200 and Barco’s wePresent WiCS-2100 to see how they compare. The AM-200 is packed with features. Once connected to the network, users can take advantage of Apple Airplay to present, or there’s an app for Android users. There is also a software application for PC and Mac, which can be downloaded from the device itself. The display has easy to follow instructions for connecting and presenting. The AM-200 also has an HDMI input for the connection of a hardwired table input or digital signage player. 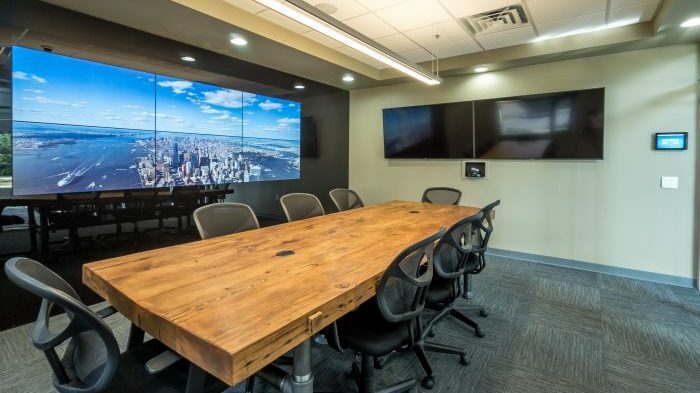 For example, if you’re in an open office space, you may want the display to show company info or marketing content until a user connects to present wirelessly. Then, when they’re finished presenting, the display can return to marketing mode. The AM-200 can also control your connected display without any programming. 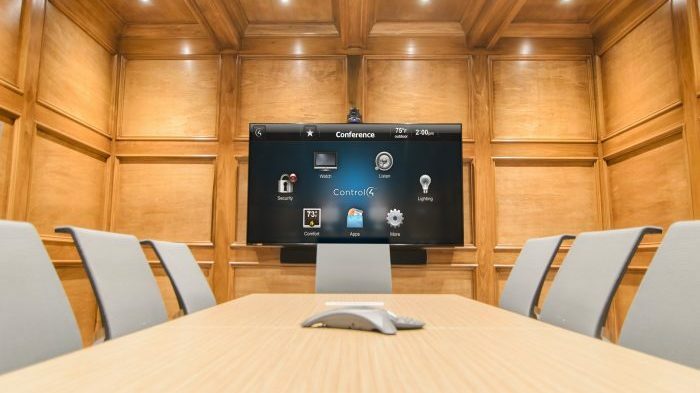 With Crestron’s AV Framework, display control is configured through the web interface and can work with CEC, IR, or RS232 commands. 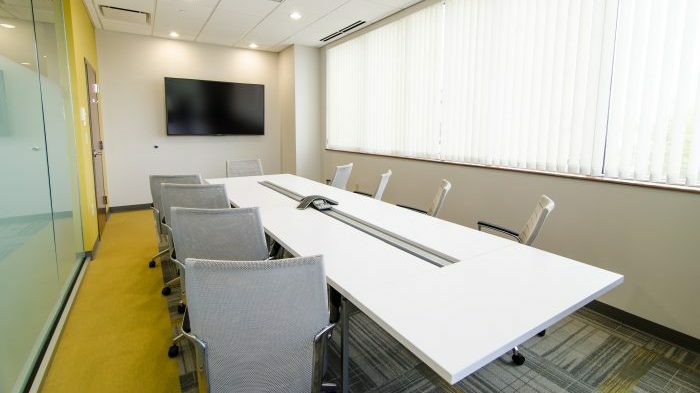 The AM-200 is also capable of being connected to Microsoft Exchange or Office 365 calendar, allowing the room to be scheduled via Outlook. Once configured, the room schedule can be viewed on the display to notify users if the room has an upcoming appointment. Here’s where things really get interesting. Crestron’s AV Framework allows you to add one of their touch panels to control the AM-200 and display without any additional programming. It provides a simple, intuitive, user interface to control room functions. Crestron also offers a wireless keypad and occupancy sensor that can be connected to the AM-200 to further expand room functionality. The WiCS-2100 can either be connected to a network or, with it’s built in wifi and routing capabilities, run standalone with any network connection. Presenting is easy with Air Play and Chromecast compatibility. There is also a software application for PC and Mac, which can be downloaded from the unit itself. The onscreen display provides easy to follow instructions for presenting. One cool feature is that up to four users can present at once, making collaboration a snap. There is also an optional Education Pack allowing teachers (moderators) to preview a thumbnail of the student’s screen before sharing it with the class. 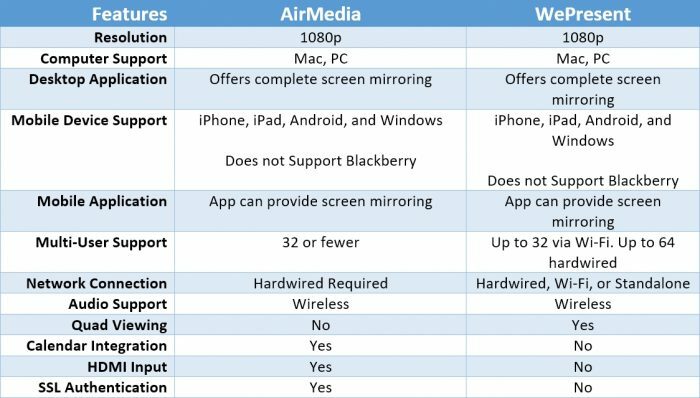 While both the Airmedia and the wePresent can be reliable systems for businesses, education administrators, teachers, and more, one may be more ideal for specific applications as compared to the other. In this section, I will evaluate some of the key similarities and differences between the two products. Both devices are relatively the same size making them easy to install behind a display or in a equipment rack. Both devices can be powered via a traditional power supply or via POE (power over ethernet). POE can be extremely beneficial allowing IT to reboot the unit remotely if necessary. In looking at the overall functionality of both, plus the fact that the AM-200 can integrate into system workflow such as room scheduling, it seems to be the device that gives you the most bang for your buck. Even though it’s quite a bit more expensive, the fact that you have an HDMI input that can act as another auto switching source makes the increased cost level out. If you’re looking for a great presentation system on a more restricted budget with no expansion or control options, then the WiCS-2100 is great option. 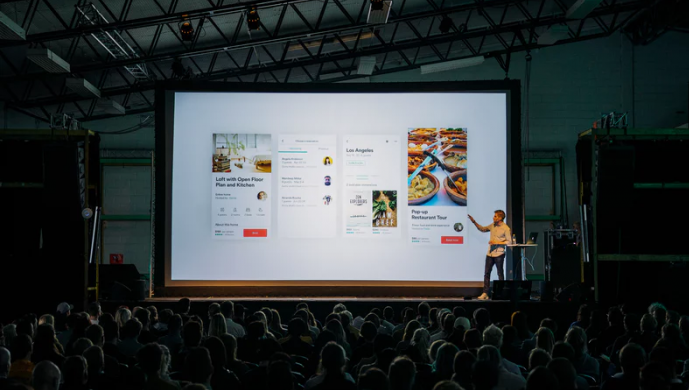 As with any decision for your business, it will really all come down to what will be the best fit for your company, and which presentation system will provide the features that benefit you the most. Clay is our Enterprise Sales Engineer. He is responsible for working with our enterprise clients like Blue Cross Blue Shield and TVA to help them with office technology. He is married and has two kids.